When it comes to Indian spices, coriander can well boast to be the most versatile sort. Its taste is a little dominating in the seed form. Coriander has a nutty, spicy flavour and is pleasantly fragrant. When young, the entire plant is used in preparing chutneys and sauces and the fragrant leaves are used for flavouring curries and soup. Coriander seeds are not only used extensively as a condiment, but also have medicinal properties, especially the oil. Our ancient heritage Ayurveda lists numerous spices for their medicinal properties. Coriander was meted out for insomnia, cloves for spleen, kidney and intestinal disorders. But what are these coriander seeds. Basically, the fruit of the Coriandrum sativum plant are dried and commonly referred to as coriander seeds. Ayurveda calls it a cooling spice that combines well with cumin, turmeric, fennel, cayenne pepper and black pepper. Fresh coriander can really enhance any dish and the super part is that all parts of the plant are edible! We can use the leaves for garnish, the stems and leaves in chutney, the seeds in garam masala and other masalas, the roots in Oriental cooking and coriander oil in seasonings for sausages and other meat products. And it would also be a great surprise that coriander is not ingenious to India but features in a variety of cuisines, including Southwestern, Latin, Caribbean, Mexican, Mediterranean, North African and Southeast Asian. How should we store coriander? Remove the roots and thick woody stems and store the leaves in an airtight container kept in the fridge. It can stay for a week. As and when you need it, wash the leaves well, dry them, chop and use. 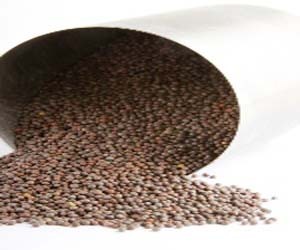 Coriander seeds should be lightly roasted to ensure no breeding ground for any kind of insects. 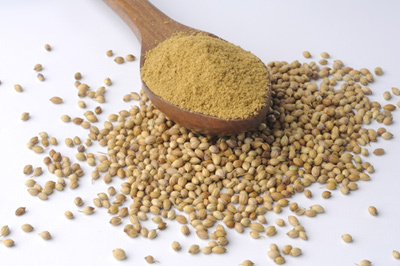 Coriander powder should be stored in a clean container and you may use a piece of whole asafoetida to prevent spoilage. Foodies will know the advantages of putting fresh coriander in dishes such as Coriander Chicken, Coriander Parantha, chutney, pulao, or then go Mexican and make a salsa with tomato, onion, garlic, chillies and freshly chopped coriander leaves. Or stir some coriander leaves into a chilled cucumber raita. Or use with spices as a stuffing in bread but bake in large batches as this is a super success. A combination of powdered coriander seeds with cumin gives a powder called dhana jiru that not only adds deep robust flavour but also thickens the curry if there is any. Split the coriander seed to reveal a kernel that when chewed upon cleanses the palate – this dhana dal is a popular mouth freshener. 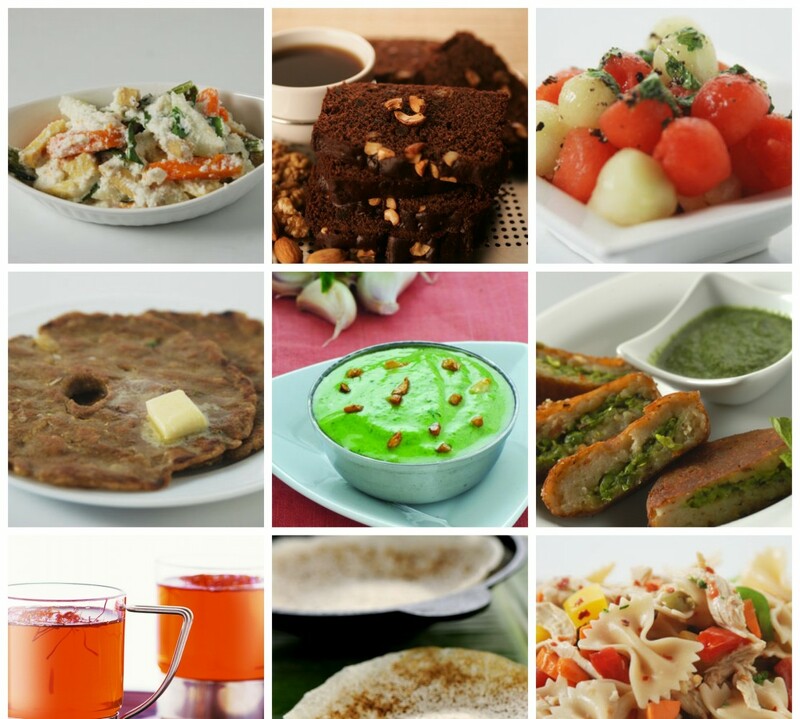 Like it is said coriander aids digestion, stimulates the appetite…so take a look at these recipes…. Back in town, just before Dussehra! Back from quite the extensive and exhilarating African safari! My knowledge about this mystique land was quite a bit, but after this trip I can say that its gone up and I feel really good that I got to live this wonderful experience of a lifetime. 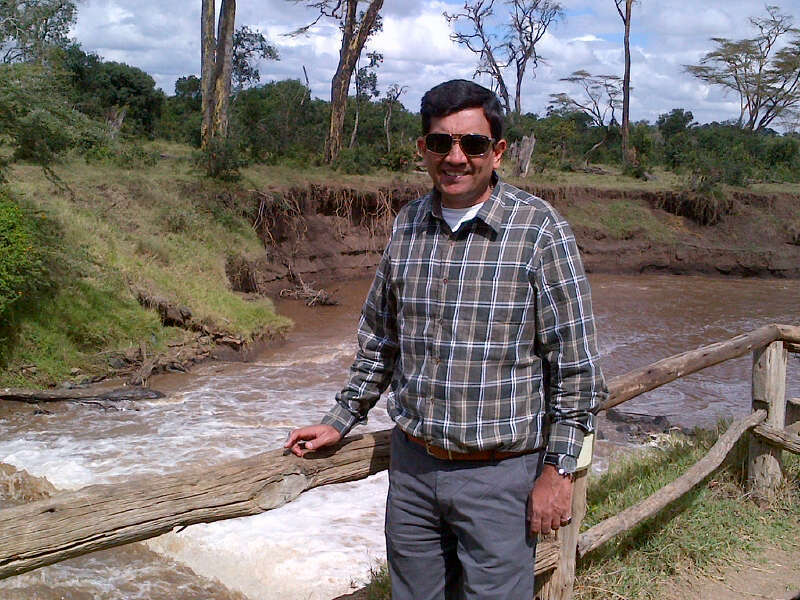 Navratri, this year, was not in my homeland – but I would also not regret the fact that I explored the African land with its rich culture, traditions and food, in the best possible manner. Was lucky enough to be back just a day before Dussehra, so caught up with some usual family routine. Needed a much required rest, so relaxed in the morning. Later in the evening, went to town for some shoe shopping for my daughter Kriti. As we were there, so decided to catch up with my sister-in law Jyotsna and nephew Manit. Had a great time with both of them and returned back in the evening, had dinner at home and retired for the day. Here’s wishing all my fans and followers a very belated Happy Dussehra! Yesterday was the usual day in office with meetings lined up. There is a Blogger’s Meet coming up in November, so there was a meeting with food writer and a dear friend Rushina Munshaw Ghildiyal along with the team from Hungama Digital and others. 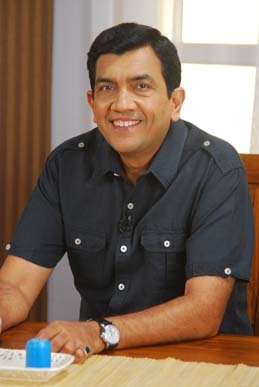 Discussions on the schedule of the meet will be done over an Oriental lunch prepared by the team of chefs. The delicious menu had – Mixed Vegetable Satay, Pineapple Satay, Chicken Satay and Fish Satay with three types of sauces: Chilli Scallion Sauce, Soya Chilli Sauce, Peanut Sauce and Veg and Chicken Dimsums for starters. Maincourse had Vegetable Pot Rice and Chicken Pot Rice and ended with Paan Icecream in dessert. Post lunch, another meeting was scheduled. Watch out this space for more details on this one! Feeling sad on the demise of Jaspal Bhatti, the original comedy king of Indian television – who can forget the satires he carried in his shows ‘Ulta-Pulta’ and ‘Flop-Show.’ RIP Jaspal Bhatti ! Try and visualize an Indian dessert without the flavour of cardamom! Some of them work but mostly not. Try a bowl of kheer without cardamom (elaichi). Simply a boring medley of milk, rice and sugar! It is the gentle coaxing of the cardamom powder that transforms a simple pudding into a feast fit for the Gods. Next, look at the famous Indian mix of spices called garam masala. Without cardamoms it would be ‘thanda’ masala – nothing worth writing home about! Cardamom is the third most expensive spice of the world after saffron and vanilla. Black cardamom has a pleasant aromatic odour inspite of having looks that are deceiving. Large black cardamoms are used for flavouring various vegetable and meat preparations in Indian dishes. They are also effective flavouring agents in confectionery, hot or sweet pickles and in beverages. The green cardamom is the ‘queen’ of Indian spices and ranks as the second most important national spice! Extensively used in medicine as a powerful aromatic aid, a mixture of its powdered seeds with ground ginger, cloves and caraway is helpful in combating digestive ailments. Cardamom seeds can be chewed to prevent bad breath, indigestion, nausea and vomiting. Powdered seeds of cardamom boiled with tea water impart a very pleasant aroma to tea. It is known that the world’s best cardamom comes from Kerala. The pods are fat, green and full of seeds. Anyone with green fingers would love to know that cardamom plants are naturally grown in a swampy land or by the side of streams. They grow best in the shade of the natural canopy formed by the dense forest. As the trees shed their foliage, it becomes organic manure for the cardamom tree. The first harvest is received after three to four years of plantation and it goes on till fifteen to twenty years. Fruits are separated from the harvested panicles for drying and curing. Three days of continuous smoking from a wood kiln is required for proper curing or drying. Cardamom seeds lose their flavour quickly when ground; even if left whole, the seeds show a loss of about 40% of the essential oil per year. Therefore, only whole cardamom pods should be bought. Perfect way to release the good oils is to crush the seeds in a mortar with pestle and add it to the dish immediately. Use the pod covering as a flavourant in your masala chai! What could you do with elaichi then? Try out our suggestions! It’s day 12 in this incredible land of Africa and we are about to wrap up the journey in a few more days. I must say it was quite an opportunity to get to know so much about this mystic region alongwith its people, culture, traditions, food and a lot more stuff. I can rightfully say that this trip will be one of the most memorable trips I’ve ever had! 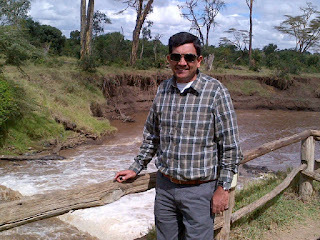 I will be leaving back for Nairobi today via visiting Lake Nakuru. ‘Nakuru’ in the Maasai language means ‘dust’ or ‘dusty place’ and is located in the rift valley of Kenya. This lake has the presence of algae in plenty which is the reason for attracting a huge number of flamingos and pelicans. The lake also houses mammals like black and white rhinos, baboons, waterbucks and other large mammals. The place is also surrounded by vegetation which is one of its kind – the biggest African forest named Euphorbia with a scenic landscape and yellow acacia woodlands. The forest is a shelter to about 500 different and unique plant species. Other places of interest in and around this area include the viewpoints like Lion Hill, Baboon Cliff, hills like Enasoit, Honeymoon, Lion Hill Ridge and waterfalls like Makalia. Pretty excited to check out these places! Later in the evening I have a flight to catch to Entebbe, the shore city of Uganda. The city has Uganda’s international airport and is used by the United Nations as a depot and staging area for vehicles and heavy equipments that are part of peace keeping and other missions in the central African region. The famous Cafe Bavariana in the city of Entebbe has delicious pastries, microfoam cappucinos and various other espresso based coffees. This place is also known for its organic and free-trade coffee which is got from the greens of the Rwandan border. After exploring the city, we shall depart for Kampala – the capital and largest city of Uganda, where we will halt for the night. One of the greenest cities in Africa, Kampala is built on the shores of Lake Victoria, world’s second largest fresh water lake and the source of Nile river. This city is known for its ‘pork joints’ that are little hole-in-the-wall restaurants. Some of the food items that I expect to see are meat (usually beef), rice, beans, matoke (steamed green bananas, served mashed with peanut sauce). A street snack that’s famous in this place is the rolex – pancake wrapped around an omelette with cabbage and tomatoes. Others include roast beef, goat and chicken usually served with chips and salad and slow roasted corn. They say we should muster up courage to use any spice that has volatile oils and that splutters when it hits the hot oil! Well, mustard seeds which we call rai in some regions or sarson in others is one little sparky seed that really splutters! These unassuming tiny seeds do a lot to food and once they crackle in the hot oil, the temper is ready to receive the rest of the ingredients! Rai or mustard seed is as acceptable in homes in western, eastern and southern Indian homes as salt! Interestingly, mustard has been an important medicinal and culinary spice since classical times. In 33 BC, the powerful Persian general, Darius, sent a challenge to his Greek rival, Alexander the Great in the form of a sackful of sesame seeds – which represented the number of his troops. Alexander’s swift reply was a small sack of mustard seeds for, although less weighty, his soldiers were much more fiery! In earlier times, mustard seeds were chewed, possibly to disguise the flavour of decaying meat. The characteristic quality of mustard is its sharp, bright heat, an element that can be released simply by chewing the raw seed. This sensation is the result of a chemical reaction that occurs when the outer husk of the mustard seed is shattered and its cellular structure broken. With white mustard, the burning sensation is felt only on the tongue. With brown and black mustards, there is also a sense of vapourization that affects the eyes, nose and sinuses. Mustard is as effective as chillies in stimulating the appetite, the digestion and in clearing the sinuses. And the western mustard sauce is a blend that provides a full range of sensations both on the tongue and in the eyes! If there is anything keen and hot, then it is mustard sauce that can enliven a sandwich or a salad. Spoon for spoon. If you are keenly watching the waist line, omit the mayonnaise from your life and get that jar of prepared mustard into the fridge. That’s the power of mustard. To think that sarson da saag, the green parent of this seed, is the soul of Punjabi food, Punjabi food has little to do with rai as such in daily cooking, except for the pickles and the winter gajar kanji. If you have ever tasted the gajar kanji (it will be the season for that in a couple of months) you will know it is based entirely on the heat of crushed mustard that provides tremendous flavour for few calories and little fat. This season try and indulge in sarson ka saag. The recipe is easy and if you don’t have it, ask me for it. The saag itself contains no cholesterol (but we do add fat in the preparation! ), and has between 25-32% protein. The green sarson leaves also contain calcium, phosphorus, magnesium and Vitamin B.
Sarson ka saag of Punjab is just one species of edible mustard plant. The seeds can also be used as a source for mustard oil, which is much used in Bengali and north Indian cooking, giving a characteristic yellow tinge to dishes. The aromas that arise from cooking with mustard oil are very pungent, but the hotness of the oil sweetens during the cooking process, and it gives an interesting base flavour to curries. Different kinds of mustard give different mustard oils: black mustard gives a highly pungent mustard oil, while white mustard gives a much less pungent mustard oil. After an adventure filled balloon ride, which was awe inspiring, had adequate rest and a quite dinner at Serena. Yes, the wonderful African sojourn is still ongoing. 3.30 am was my wake up call to catch my early flight to get to Nairobi. After a bumpy landing we all safely reached the hotel. Did a little bit of unpacking and put in some breakfast. Then, I was ready to roll. A small walk around the city, which was so easily accessible, seemed like a good idea, so went out by myself. Nairobi was a thriving place full of varied colors and had quite a few culinary offerings to sample. To my surprise, I found that Nairobi had many quality, food options available, be it continental, Indian, Italian, Lebanese, Chinese and last but not the least local African gastronomic delights. 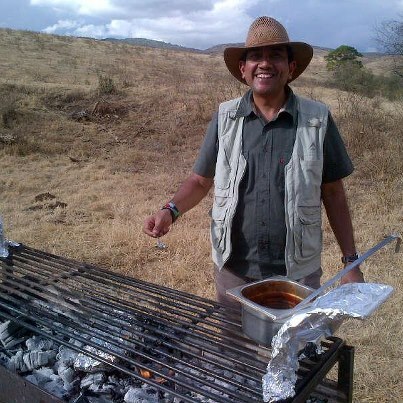 Sampling some of the local dishes namely, “posho” and “irio” seemed warm and inviting. Poshocan be considered as one of the staple food that all Kenyans enjoy. After sampling in the wonderful taste, I can understand why! Posho is prepared just like porridge and central ingredient is corn (or maize) that is ground into flour. When posho is mixed with coarsely mashed potatoes and vegetables it is called irio. Both were rather modest dishes but wonderfully balanced in taste. Thoroughly enjoyed both the dishes I tried. Ugaliis also very popular out here with the locals; it is served in a fairly big pot. Ugaliis beef stew. That takes care of food and then it was time to discover local drinks available. Beer was largely and easily available. Palm wine comes close to beer as being the second most popular drink of choice. I tired beer that was called uki. Uki is a special type of brew made from honey. We spent the rest of day exploring, shopping, and sightseeing in Nairobi. 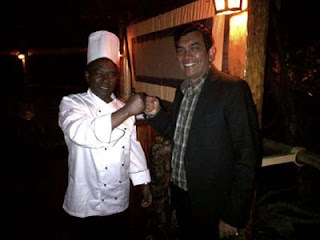 Later,dinner plans at Carnivore restaurant in Langata suburb was a huge success. It is an open air restaurant with appealing ambience. Well known as “the meat lover’s paradise” and a popular tourist destination. Carnivore restaurant serves all kinds and types of meat, you can think off including ostrich, crocodile and camel meats. The meats were painstakingly cooked to perfection, succulent and splendidly flavoured. 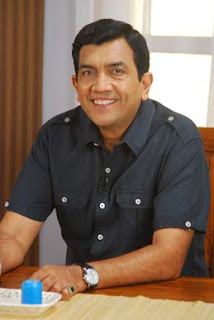 I had to meet the Chef in person; it was a remarkable moment which will be dearly cherished by yours truly! Plans for the next two days include weet Waters Lodge. The lodge I have heard is a sight to behold; it is a private wildlife conservancy. It is a class apart that has very different experience to offer. Travellers from all over the world enjoy this retreat that has many things to offer. Abundant wildlife, varied size fresh fruit and vegetables farms and fully equipped amenities that you can enjoy with the whole family is the “USP” of this place. You can enjoy activities such as swimming in their big pool or pamper yourself with beauty treatments, take guided bush walks, go camel-trekking or pay a visit to the Sweet Waters Chimpanzee Sanctuary, or visit a tame black rhino. It is said that “Falling in love” is the side effect most tourists experience here. Such highly regarded and recommended place definably deserves our attention. So, thus we have plans of spending two days at Sweet Waters Lodge to unwind and continue the indulgences. That’s it for now, from my end. Will, talk soon enough till then take care and adios. Friday, we took an early flight for Arusha…the home of the Ngorongoro Crater. Reached around 8.30 am and then started the beautiful scenic drive leading towards Lake Manyara. Arusha is well known for its national parks that are home to lions, elephants and baboons. The weather is snug, not too hot, and I am told that the youngsters here are crazy about hip-hop, so much that they have a Tanzanian hip-hop. After a beautiful drive with a packed lunch (sort of a picnic!) back to the hotel in the latter part of the afternoon. Following morning ventured out onto the same route but went as far the Ngorongoro Crater. Only when we set our eyes upon it, we realised… why it is called the ‘eighth wonder of the world’ and declared UNESCO World Heritage site! It was the site of a volcano that has been dormant since two three million years. The crater is huge, around 250 square kilometres in area. We are told that this lush and natural enclosure is home to diverse wildlife. The varied flora and fauna are untouched by man. No wonder it is called a land that time forgot. Rhinos, hippos, lions, and large bull elephants all living happily, in-sync, in-and-around the crater area. The local tribes (Maasai) are allowed to graze their herds in the crater, but they have to enter and exit daily. They are not allowed to settle down in this clandestine land of the wild. We could have spent some more hours here but the memorable day has ended! On Sunday, itinerary list comprised of the visit to the famous Serengeti via Olda vi Gorge. Serengeti, has been known to be founded by Stewart Edward White, an American hunter who had set out from Nairobi. It is locally known as ‘Siringitu’ meaning “the place where the land moves on perpetually” for the Maasai tribe. This region is rich with its varied cultures and the most common way to look at it is through the plethora of languages that are spoken out here – four chief language groups include Bantu, Nilotic, Cushitic and Khoisan. Apart from its diverse natural wildlife, Serengeti is blessed by a range of tourist spots like the Ngorongoro Conservation Area, Maswa Game Reserve, Loliondo, and Grumeti. So far, a truly adventure filled eight days completed in Africa… how time flies! Really excited about the Balloon Safari, which I am told will be an eventful undertaking of about one to two hours of watching wildlife from mid air! First and foremost, we will see the inflation of the balloon which will carry us up. And afterwards, on landing, a champagne breakfast in true English style. Ala Grand, I must say! Later we will fly back to Dar es Salaam and from there the first flight out to Nairobi, so that we can make the most of the day there. Now, off I go for the Balloon Safari that awaits me and duly tune-in for my next adventures.